When is the best time to plant a tree is one of the questions we hear the most. Of course, 10 years ago, is the most accurate answer! All kidding aside, a tree really can be transplanted anytime of the year, as long as there are enough roots in relation to the size of the tree and the tree is properly cared for, i.e., proper watering. For additional details, see How Much Water Should I Give My Tree question below. Question: Is spring or fall a better time to plant? Answer: There is differing literature on this topic, depending on the tree species. Our experience has never shown a difference between spring and fall. 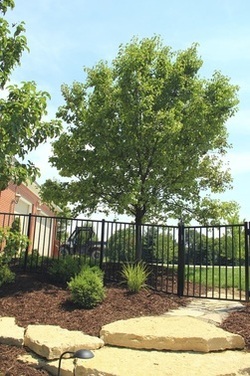 Transplanting is stressful to a tree and you can reduce stress by planting when the tree is dormant. However, there are factors that have a far greater influence on how well the tree does. 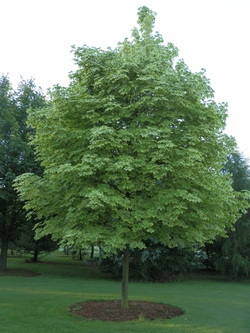 Question: Can I have a tree transplanted in the summer? Answer: Yes, if you are watering it. Proper watering is of paramount importance in the successfulness of transplanted trees. They especially need that daily drink in hot and windy weather. We highly recommend not leaving for vacation and leaving your newly transplanted tree unattended. It has been our experience that trees can have a greater flush of growth in the spring, having had an opportunity to become better established before winter. Question: Can you move a tree in the winter? Answer: Winter can be an excellent time to move a tree. We prefer 1-4 inches of frost, and are usually able to dig through a maximum of 6 inches of frost. The ground is firm enough to drive anywhere. Two inches of snow is perfect, as it holds the frost, even on a sunny day. However, with more than 6 inches of snow, and the truck cannot easily move in the field. Question: How big of a tree can you transplant? Answer: A general rule of thumb for transplanting trees is to have 10” of root ball for every inch of trunk caliper. (other factors can influence this, and can be discussed in specifics to your situation.) 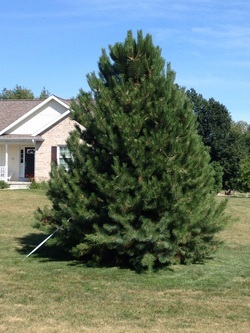 For our 65” spade, we can move up to a 6” diameter shade or ornamental tree and an 8” evergreen. 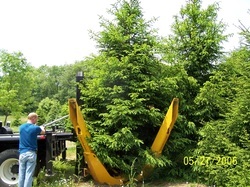 With the 88” spade, we can move up to an 8.8” diameter shade or ornamental tree and 11” evergreen. How Much Water Should I Give My Tree? This is the #1 question from our customers. A tree needs water on a regular basis, not just once a week. Especially in hot and windy conditions, it should be watered daily. A rule of thumb for watering is 1.4 gallons per diameter inch per day during the growing season, in 70 degrees. 2.8 gallons per diameter inch per day at 80 degrees, and 5.6 gallons per diameter inch per day at 90 degrees. You can see that, as the temperature and wind increase, the amount of transpiration increases dramatically. A transplanted tree does not have the ability to “find” water with a reduced root system, you have to provide water for it. Do not let your tree become overly stressed. If you notice wilting leaves or loss of leaves, stress is already taking its toll, and the tree needs more regular watering. It should be your goal to not let the tree wilt, although if it does, it does not mean it will die. Observe the grass around the tree parameter. Is it green or brown? If it’s brown, your tree is not getting enough water either. Do I Only Water For The First Year? If you want to maximize your tree's health and growth, regular watering for a few years, minimally, is optimum. The question though goes beyond life or death of a tree, to the life long health and vigor, which requires the tree owner to water as needed through extreme weather conditions. Should I Mulch My Tree? Yes. Mulch helps keep the moisture under the tree canopy and suppresses weed growth that can compete in the root zone for nutrients. It additionally keeps turf away from the trunk, reducing the risk of string trimmer and mower injury. How Much Mulch Should Be Around The Tree? Mulch should be 3-4 inches deep and kept 1”away from the trunk. Guard against purchasing mulch that is kept in large heaps that can become anaerobic (without oxygen) and potentially toxic to your tree. Spread mulch around your tree in a manner that is aesthetically pleasing to you. Mounding of the mulch should be avoided. Does My Tree Need To Be Staked? Yes. If the tree is unstable or in danger of being wind thrown, it should be staked. In general the tree should be staked for one year, with a maximum of two years. 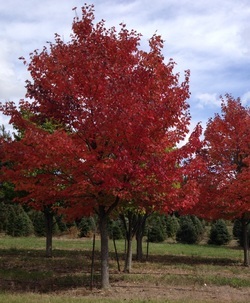 Todd Ness has 20+ years of experience in the tree industry. 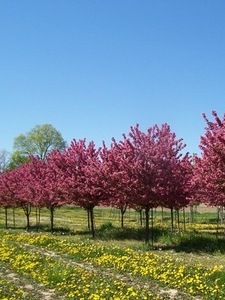 He specializes in planting, growing and transplanting all varieties of trees.